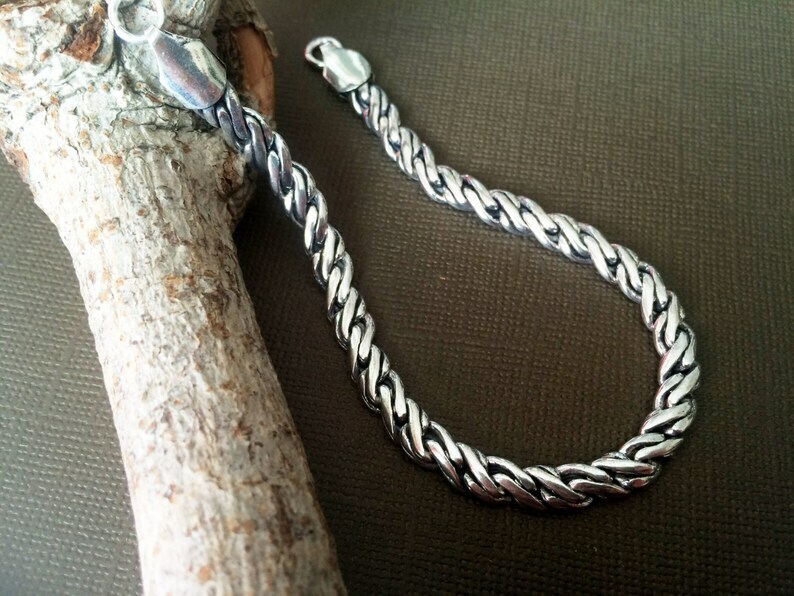 A silver plated bracelet that will make you experience the vintage.It is exquisite and almost a perfect picture for the eyes.A beautiful accessory for anyone for men,women or teens. It is 7.5 inches long from hook to the eye,Larger Sizes can be customized upon request ,extensions can be added to make it as long as you need. 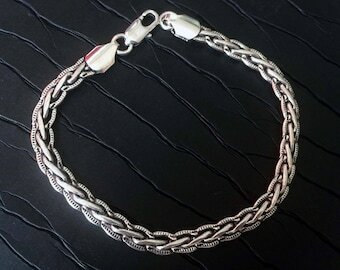 The bracelet is made out of 40% Silver 10% copper & 50% brass and is Silver Plated. This bracelet can be stacked with other bracelets as well.